Takato Kei is just an ordinary college student, training for an ordinary life, when he falls into a strange and appealing part-time job. He’s been hired to tutor a teenage girl at home for 10,000 yen an hour! 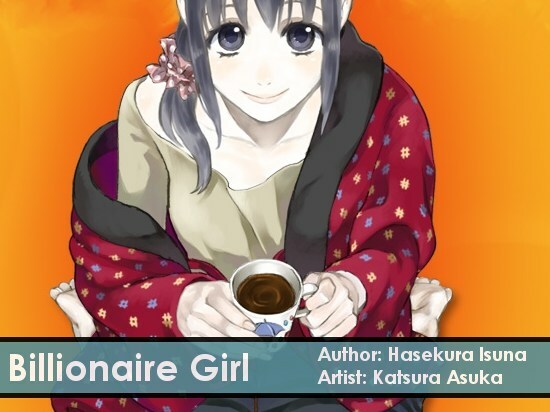 The girl in question, Fujioka Yukari, is not a high-school student, but a highly successful day trader who has already amassed 170 billion yen! Despite her money and her beautiful apartment, Kei can’t help feeling like there’s a certain loneliness about the cute teenage girl. She even seems embarrassed of her career, as if her obsession with the stock market and the vast amount of time she spends moving stocks makes her an otaku. Kei may be just the person she needs to help her break out of her isolated lifestyle and acquire the one thing money can’t buy– happiness. Is it possible to reupload this? No problem, I’ll do it this weekend, I don’t have those files in this computer.